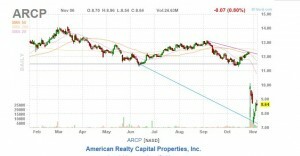 This year I invested in the up & coming REIT ARCP. However, 10 months later, the company is in hot water. What lessons have I learned from this investment?